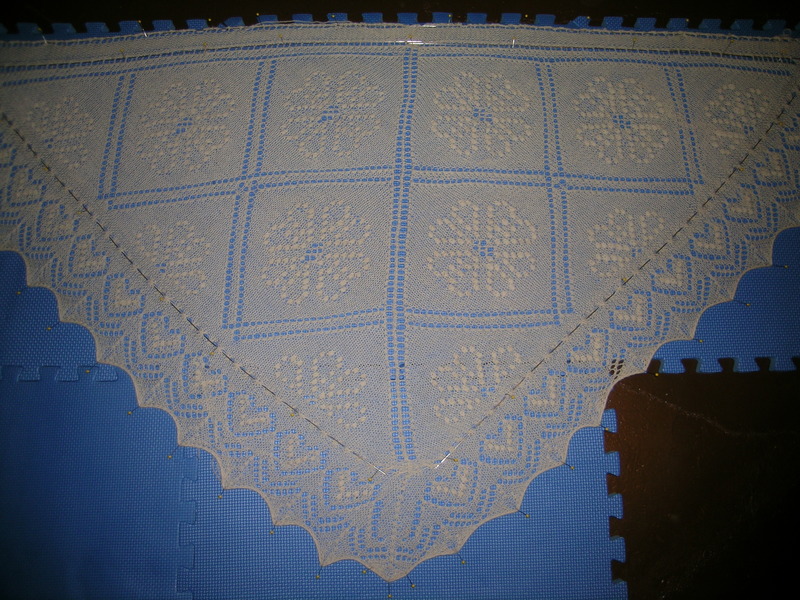 I finished my Estonian shawl, and blocked it tonight, hopefully finished photos tomorrow, and project details. And, a package arrived for me yesterday, which I missed and picked up at the post office today. The newest SAL from Loop. This is a different version of a gradient, and I am anxious to try it. It also has sparkles! 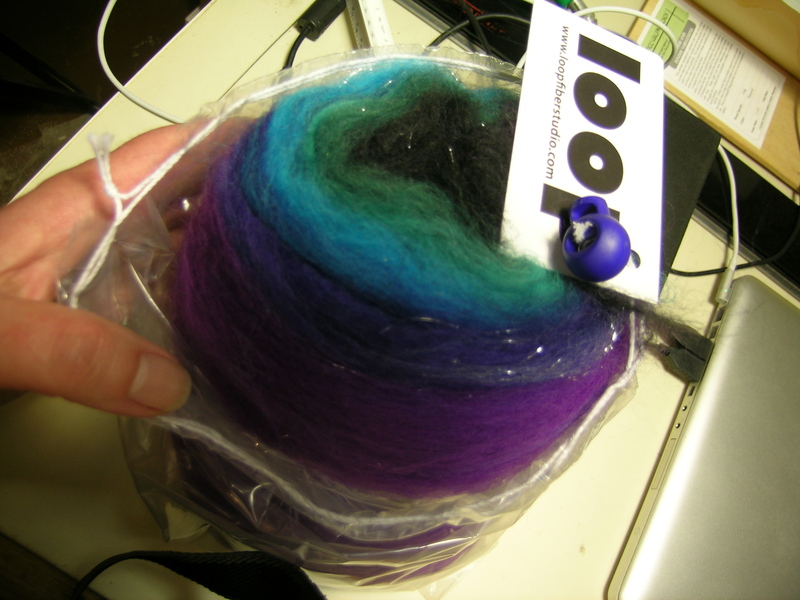 She cards the fiber into a batt, and then does the gradient color. AND, I just got notice that my new dream wheel is shipping and should be here tomorrow!!!!!! I am so excited! The shawl is gorgeous and the hearts really do stand out after it was blocked. Another spinning wheel? Are you getting rid of your others? Yes another wheel, the original Ashford will be removed. I will keep my travel wheel (the Joy).